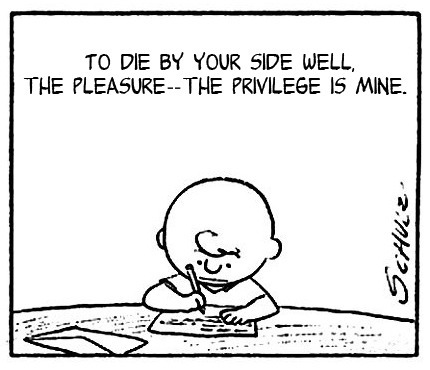 You have been with us for so long, and even though your creator, Mr Schulz, is long gone, you are still just as relevant as ever. 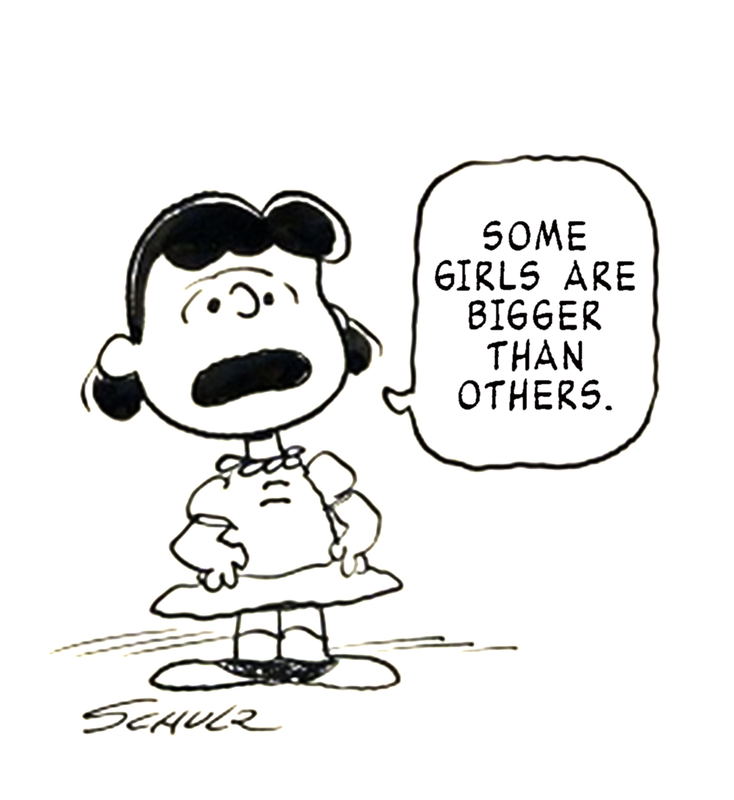 This time, it's because of one lovely little Tumblr blog called This Charming Charlie. 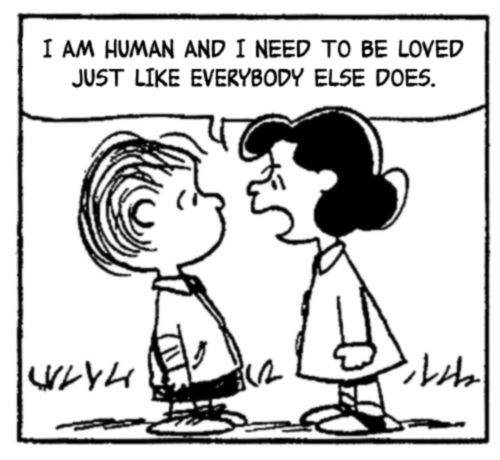 You wouldn't think it, but the beautifully morose lyrics of Morrissey do lend a lovely pitch to the world of the Peanuts gang. Observe. 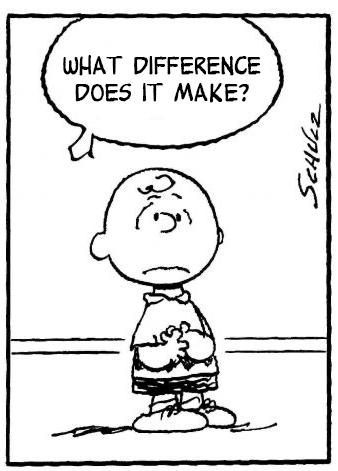 Sometimes none at all, dear Charlie. 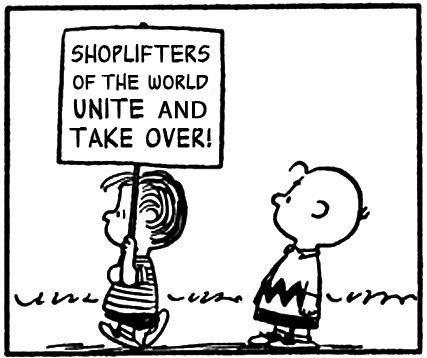 Linus always has been anti-establishment.